What can I say about this blend? 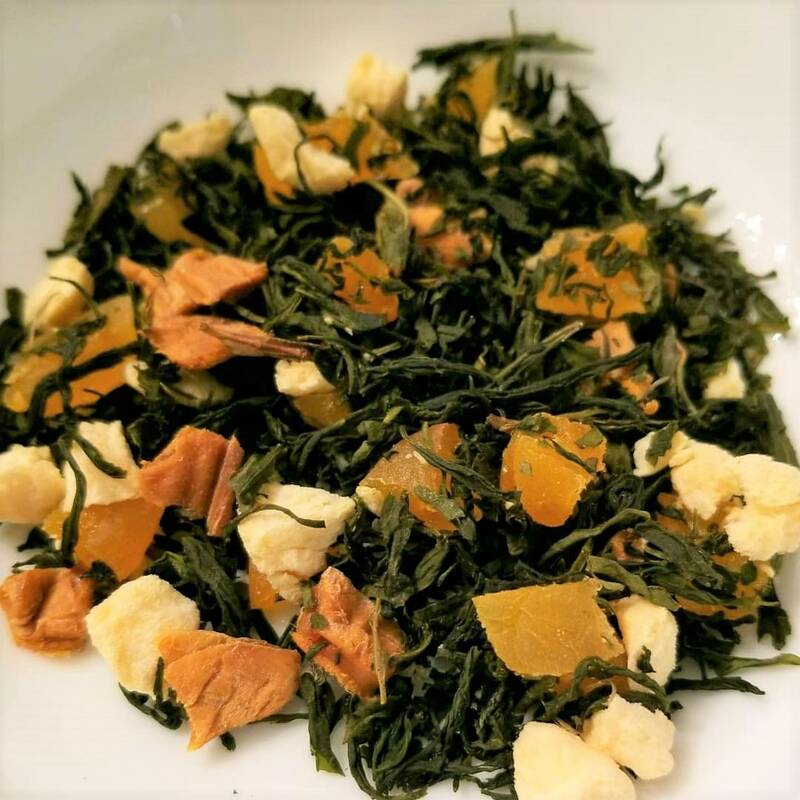 Houjicha Green Tea naturally sweetened with dried apricot and peaches, with pure peach and mango extract (not artificial flavorings)... this is wonderful as a hot cup of tea, but it is simply dee-vine as a cold brew. One sip and you will be hooked. I don't believe this one needs to have sweetener added - I recommend tasting first before adding anything. very fresh tea, smells amazing! thank you!